The motors are inter-connected mechanically by line shafting and bevel gear boxes in oil bath to ensure the perfect level of the platforms and balanced load on motors regardless of vehicle position. OnIy one adjustment is made during the installation, never during operation as there are no parts subject to yielding or lengthening such as cables and load bearing chains. Automatic lubricati on of main and safety nuts and spindles is achieved by a plunger pump, one in each column, which ensures positive lubrication every time the lift is raised thus ensuring long life and smooth running. Main and safety nut assembly. 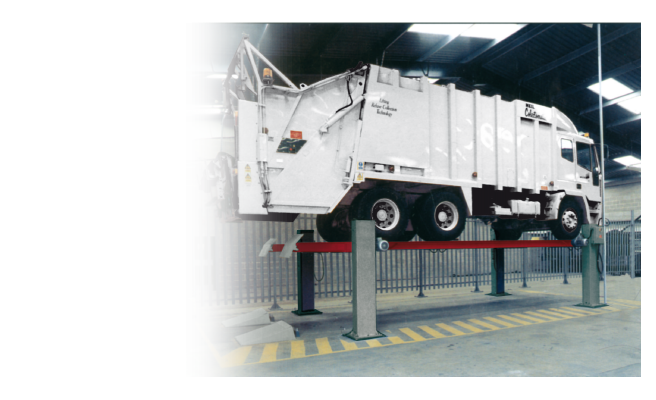 A safety switch automatically stops motion should the lift encounter a solid obstacle during lowering. b) in single mode, therefore with the two lifts working independently with platforms at different height. 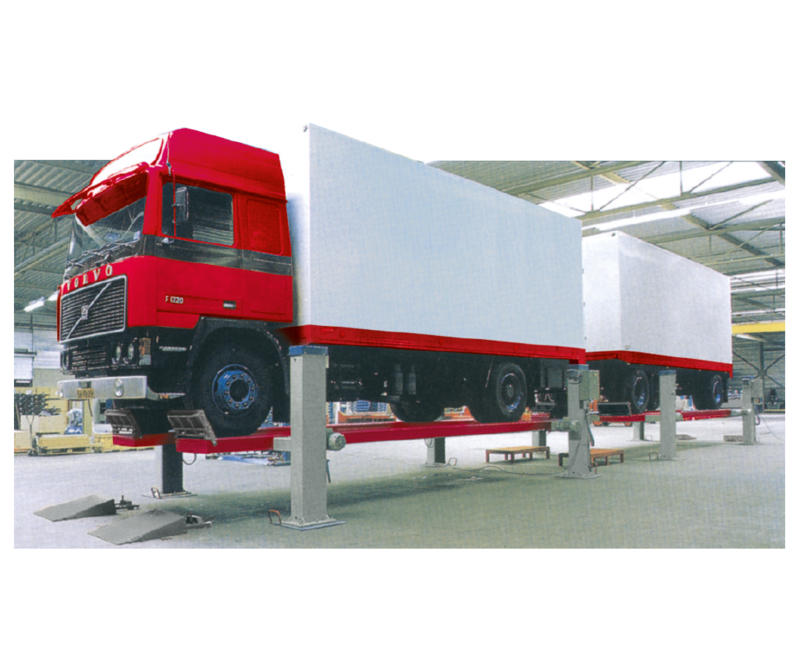 This solution enables the lifting of particularly long vehicles but also allows, in single mode, to make the lifts work separately to service the more common vehicles, therefore granting double return on the investment. 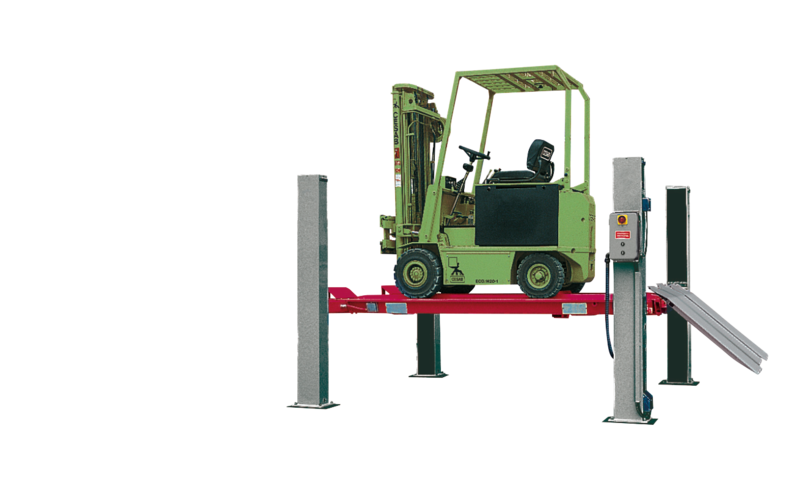 Lifts for fork lift trucks. 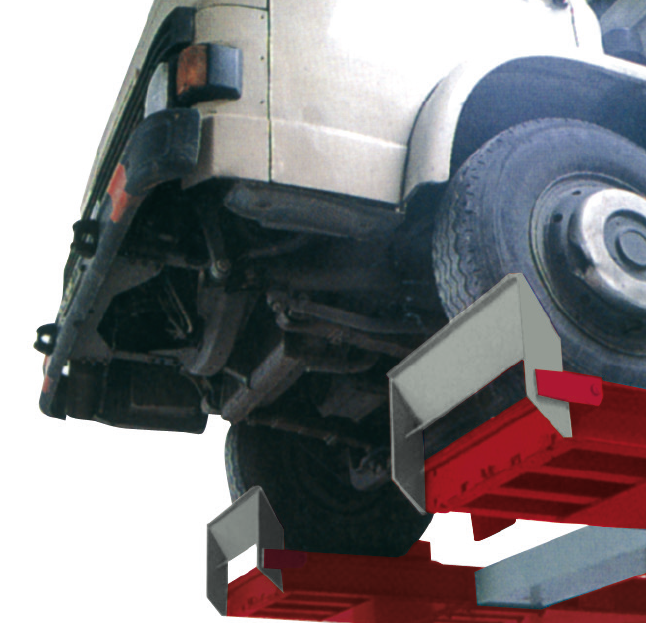 Equipped also with a third central platform, to enable lifting of three-wheeled fork lift trucks.